Garver: Garver again named a Zweig "Best Firm"
Garver has once again been recognized as a "Best Firm to Work For," making another appearance on the Zweig Group's prestigious list that ranks the nation's best multi-discipline architecture, engineering, and environmental consulting firms to work for. 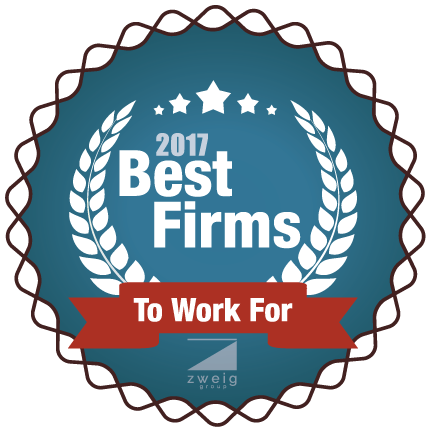 The list recognizes outstanding workplaces at A-E consulting firms based on benefits offered and employee satisfaction. This is the fourth consecutive year in which Garver has ranked in the top three of that category. Garver’s growth in 2017 has been highlighted by the opening of offices in Athens, Texas; San Antonio, Texas; Round Rock, Texas; and Wichita, Kansas. Garver, founded in 1919 in Little Rock, now has more than 400 employees in 22 offices nationwide. The growth has been made possible in part by a competitive benefits package that offers 401(k) matching, paid overtime, and health care. Garver employees also benefit from a full-time Wellness coordinator based in its North Little Rock corporate office, a gym or a gym fee reimbursement program at every office, a flexible work schedule, and management dedicated to providing professional development resources. 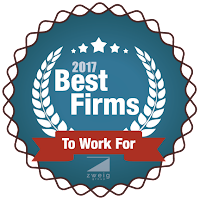 Interested in joining one of the "Best Firms to Work For," start by looking at our jobs page here.